Data is your greatest asset, if you know how to use it. The key to new revenue streams, better customer experiences, and lower costs of doing business is there in your data, waiting to be discovered. It reveals your path to innovation and new ways for you and the world to work. Hitachi Vantara elevates your innovation advantage by merging operational and informational experience to offer you a data partner with unprecedented range and depth in data management. We are analytics, industrial expertise, technology and outcomes rolled into one great solution provider. We listen. We understand. We work with you. Fifteen years ago Revera founders Roger Cockayne and Wayne Norrie – then Hitachi Data Systems managers – saw the future and built a ‘one-to-many’ IT services platform. Rather than sell storage ‘boxes’, they built a shared platform that clients used to provision and manage their own IT. It was the genesis of New Zealand’s cloud infrastructure build-out. Even then, Roger, the technologist, talked about data clouds, floating data, and enlivening systems wherever clients fancied. Turns out he was right. Revera was born, clients came and the company grew and developed. Today, Revera is regarded as New Zealand’s cloud services leader. Now, with new owner Spark, Revera is developing the next generation of cloud services and command-and-control functions to automate the provision and management of hybrid cloud services. 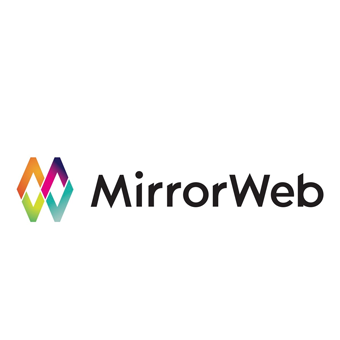 MirrorWeb delivers cloud-based archiving and monitoring solutions for the information-driven enterprise. Trusted by the UK government, our website and social media archiving platform allows organisations to create permanent, unalterable records of all online communications, meeting compliance obligations and ensuring information of commercial, cultural or historical value is never lost. State-of-the-art – support for web and social media data at large scale, as well as search indexing and big data initiatives. Cloud-native – an AWS partner, we offer near-unlimited capacity and scalability with complete control over data storage. ISO-compliant – we are ISO9001 and ISO27001-certified and archive our data in secure, date and time-stamped ISO28500 standard WARC file (WORM) format. Geo – located – offering local support 24/7/365. All archives are stored in local territories meeting protection and compliance requirements. User-friendly – our best-in-class client portal puts you in control of your archives, allowing you to control archiving frequency, search and replay content, view reports and notifications. Cost-competitive – we give you and your team full access to the MirrorWeb portal at all times. No seat fee, no setup and maintenance fees. We live in a data-rich but knowledge-poor world. 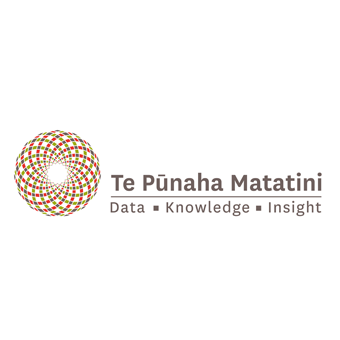 Te Pūnaha Matatini – ‘the meeting place of many faces’ – is a New Zealand Centre of Research Excellence developing methods and approaches for transforming complex data about the environment, economy, and society into knowledge, tools, and insights for making better decisions. As ‘a meeting place for many faces’, our organisation is committed to equity, diversity and inclusion, focussed on transdisciplinary research, and connected to colleagues across range of sectors – research, government, industry, and communities. Te Pūnaha Matatini brings together the expertise of New Zealand’s leading researchers in social sciences, economics, biology, mathematics, computer science, operations management, statistics, engineering science, and physics. Our transdisciplinary approach advances knowledge of complex systems and networks, and their applications, for the social, economic, and environmental benefit of New Zealand. InternetNZ is a non-profit and open membership organisation. Our vision is for a better world through a better Internet. We promote the Internet’s benefits. We protect its potential. And we focus on advancing an open and uncapturable Internet for New Zealand. We are the designated manager for the .nz Internet domain and represent New Zealand at a global level. We provide a voice for the Internet in New Zealand and work on behalf of all Internet users across the country. We provide community funding to promote Internet research, and work hard to bring the Internet community together at events like NetHui to share wisdom and best practice on the state of the Internet. We promote our vision for the Internet to industry leaders and the rest of New Zealand, in order to shape what New Zealand’s Internet might look like in the future. Founded in 1980 in the city of Bonn (Germany), startext develops software products for archives and museums to describe, manage and publish both physical and digital archival objects. This includes a full-featured, OAIS-compliant solution for digital long term preservation. Designed for easy use it allows also small and medium sized organizations to get started with real digital archiving at a reasonable price. As part of its toolset for digital preservation, startext also provides specialized tools to asses unstructured file compilations and to transform complete websites into a massively simplified format that is suitable for real long term preservation. The National Library of Australia is responsible for collecting, preserving and making accessible a comprehensive collection of resources relating to Australia and the Australian people. The Library achieves this objective through innovative initiatives, such as the Trove discovery service, and through collaborative arrangements with other libraries and information providers. The Library has been a world leader in the collection and preservation of web resources establishing one of the first web archiving programs, PANDORA, in 1996. It now maintains a web archive of more than 500 TBs of data collected through selective, bulk-themed and domain harvesting methods. 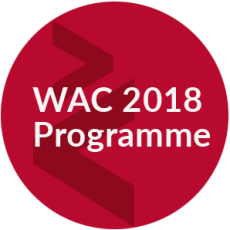 In 2004 the Library held one of the first international conferences focused on web archiving – ‘Archiving Web Resources: Issues for Cultural Heritage Institutions’ – and was a founding member of the IIPC and hosted the 2nd General Assembly in Canberra in 2008.